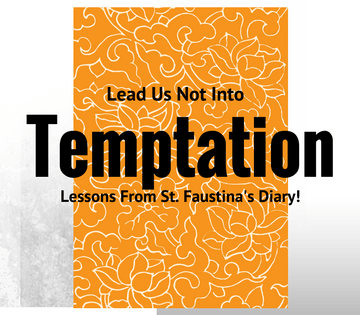 In one of the most famous lines in the Our Father, we petition the Lord to “lead us not into temptation”. Yet temptation remains a daily occurrence throughout our lives. How can we avoid being drawn to the destructive things that entice us and what is our strategy for successfully overcoming temptation? For many of us, there are habits that are tearing apart our families or holding us back from loving God and living out the life he has planned for us. Consequently, the time to take action and fight temptation needs to benow. St. Faustina, a modern mystic and saint, shares with us a five-point formula for success right from Christ who revealed it to her! She wrote about it in her personal diary, Divine Mercy in My Soul, in section 1560. Let’s go through her points and gain wisdom and knowledge! This means that we should disclose our temptations in the confessional so we can gain the strength and graces necessary to overcome them. Don’t allow the things that fester deep in your soul to haunt you but rather bring them to the light! This post first appeared at Divine Mercy for Moms.